Live music performances and readings performed by Eric Howl and Guests Inspired by “On the Road” by Jack Kerouac. Musician Bios: Eric Howl plays Rockabilly, Blues, Doowop and rap alone and with The Way Down Lows. The premiere of his new film & music video Vampire Blues starring Justin Guarini, co-created with Elijah Lee Reeder, premieres on October 30th at The County Theater. Howl has appeared in The Herald, Intelligencer, Philly Deli Magazine, Yvynyl, The 405 and more. He is the author of Haiku for Teens and Prostitutes. "Be part of Eric Howl's new album I'm Goin' Down and help spread it across America and the world. Get amazing, exclusive rewards and help Eric Howl raise $1500 in 30 days to get his album mixed, mastered, and pressed along with his companion book, print, custom poetry, dinner with Vampires, and more." Be part of Eric Howl's new album I'm Goin' Down, and spread it across America and the world. The Kickstarter is starting just days away. Go to www.EricHowl.com to watch the video and make history. Joe Montone (of the local indie folk act Heat Thunder) is a songwriter from Doylestown, PA. Heat Thunder's atmospheric debut medley EP, "Melody, Love & Soul" and its companion short film was released in February 2013. Their latest single, Solo World can be streamed at http://soundcloud.com/heatthunder http://heat-thunder.com/film http://facebook.com/hearheatthunder http://twitter.com/holyheatthunder . AJ Wisniewski plays in Apparition, an emo/alternative rock band from the Doylestown area. “We're loud and sad." Yuri Gohen plays folk, country blues and psychadelic rock in the bands Meddlesome Meddlesome Meddlesome Bells and The Brothers Gohen. He's been recently featured in The Intelligencer, The Philadelphia City Paper, WXPN’s The Key, on WPRB, and WDVR. *This is a donation based event with a portion of the proceeds going to support Drew & Judy Abbate. MANIA, the fourth book by the authors of The Death of Discourse, The Trials of Lenny Bruce, and On Dissent looks back at the Beats and the historical moment that gave rise to such classics as Ginsberg’s Howl, Burroughs’s Naked Lunch, and, of course, Kerouac’s On the Road. Subversive then, canonized now, these enduring works crystallize pivotal cultural and political changes of the mid-20th century. Jack Kerouac has a Legacy Library. Legacy libraries are the personal libraries of famous readers, entered by LibraryThing members from the Legacy Libraries group. 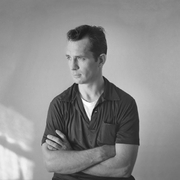 Jack Kerouac is currently considered a "single author." If one or more works are by a distinct, homonymous authors, go ahead and split the author. Jack Kerouac is composed of 17 names. You can examine and separate out names.